I know nothing about the family life of Jolie or Pitt, but I am most definitely an expert when it comes to spousal surveillance. 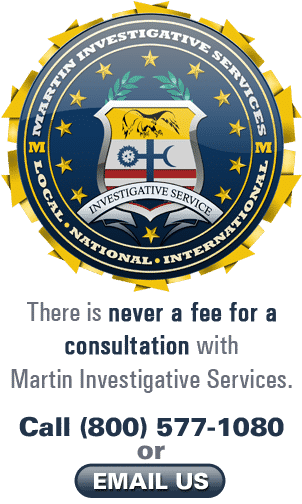 In my professional career as a as a private investigator, my firm has performed over 20,000 of these cases. I predict marital surveillance cases for private investigators will become a rarity in the coming decades. When I started my business, I was a one-man show. In the early days, marital surveillance cases were my bread and butter. I followed husbands suspected of cheating for an overwhelmingly female clientele. For many years, these types of cases remained a mainstay of our business. Men and women leave compromising photos right on their cell phone or tablet for anyone to find. Gwen Stefani reportedly learned that her husband was cheating when she found naked shots of the family nanny on the kids’ iPad one day. Now a wife can just look on her husband’s iCalendar, note the locations, and track him in 20 minutes. Not long ago we were retained to follow a man around the clock for seven full days. The client was a wife who was sure her husband was cheating on her with her best friend. But the husband was a good boy… he even attended church services. When we turned up nothing, My client insisted that her husband must have been on to us. I guaranteed her that that was simply not the case. He had no idea anyone was following him; he drove so fast we could barely keep up with him. Now, this client might have been a bit paranoid… but there’s an old Joseph Heller quote: Just because you’re paranoid doesn’t mean they’re not out to get you. Those who are merely paranoid make up about 3% of our marital surveillance clients. 97% of those who think their spouse is cheating end up being proven right. Some days I think the other 3% could be right too… and maybe we just choose the wrong week to follow their spouse.